Hello, welcome to Eric Schultz Remodeling. We have been doing construction and remodeling since 2003. We enjoy the one-on-one customer relationship and our goal is to bring the best quality and satisfaction to every job. We will work with you during every step of any job, small or large. You can expect us to listen to your thoughts and ideas and help you design your project to be what you want. You can expect to hear available options that will assist you in zeroing in on what you want while maximizing the value of your investment. Eric’s experience as a remodeler and his time in sales, customer service and management give him the tools to understand the most important component of any project: the people who are going to use it. While the finished product is the final goal, it is also my goal to make the steps along the way as productive, informative and pleasant as possible. You will not find people who understand the customer and how to with with them better than Eric Schultz Remodeling. If you are looking for a fully insured and registered contractor in Pennsylvania, then you are in the right place. We are an Accredited Business with the Better Business Bureau, a Lead-Safe EPA Certified Firm, and we are certified with the Keystone HELP program. "Surpassing a fine line between professionalism and perfection"
We are primarily Structural Engineers and work closely with Building Designers, Architects and Contractors to create safe and economical living and working environments. Project Dragonfly is a design and implementation company operating since 2007. It is the combination of years of trade experience, a talent for interior design along with a dream that lead to the creation of Project Dragonfly. Our work includes basement finishing, commercial space remodels, roof replacement, deck refinishing/ building, to additions and all things construction. We are committed to quality craftsmanship and doing each phase of the job to the best of our ability and knowledge. Project Dragonfly combines a unique creative eye, practical construction experience, with a heart that looks out for the customer's long term interest. This is a business that strives to serve a greater good by providing services with the awareness that we all need each other in a community. Community is a delicate balance of interpersonal relationships. We strive to make sure our part in the community is one of care, concern and fairness with ourselves and others. We hope that you will consider Project Dragonfly for your next construction project. I come to you, to hear your wants, desires, must haves, and can't stands. I propose Design options to help your dreams come to life. Detailed drawings include furnishings, layout, décor, lighting, window treatments, bedding, flooring, material square footage, all the way down to a unique, personal tile design. I'll work with you, and/or your contractor, for as little or as much as you prefer through completion. Creating a timeline for you to do as much work yourself as you are comfortable with, to setting up all necessary contractors while overseeing each and every detail, to create the BIG Reveal! I love being able to make Dreams a Reality, One Design at a time! CORE Design Group is a firm founded on the fundamental principle that the greatest contribution of architecture is to strengthen and vitalize our communities. We believe that architecture, the natural landscape and a building’s context, both in environment and history, are seamlessly connected. Our ability to discover inherent order among these complex components enables us to create projects tailored to their unique environments for our clients. Our process is not formed by any one style or predetermined formula, but rather strives to create architecture that is inventive yet timeless. Both principals are personally involved in every project to contribute their individual strengths and expertise. Each project begins with a collaborative approach, which engages the client in an integrated design process from the initial concept through the project’s completion. We continue this approach in a project’s execution as we endeavor to translate concept into the craft of construction. Our goal is to create projects with truly inspired designs. Custom upscale design of housing for canines. 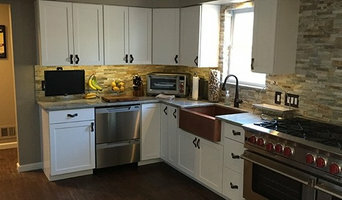 WNS Construction Inc. is a new construction and remodeling corporation that has been in the industry for over 40 years. Here at WNS Construction we do structural additions; we remodel bathrooms, kitchens and convert basements in to livable space.. We also replace windows and build decks so you can enjoy your outside leisure time. In addition to that WNS Construction does roofing, siding, new modern rain caring systems and.We have added a new handy man service to do smaller jobs that have to be done around your home that you don't have time to do. A modern thinking company that will help any physically challenged person in your family with thire mobilization needs to have freedom to move around in the house again. Traditional skills, but still state of the art - that's what sets WNS Construction Inc apart. We produce master-quality work that is customized to your specific needs at reasonable prices. Whether custom-made to specification or revisions and repairs, you can rely on us! We are a group of individuals with a wide variety of skills with a common goal of being creative and turning your thoughts and visions in to reality. Thank you for visiting and viewing our website and please contact us at your convenience Bill Stafford. Architectural Firm with over 35 years experience! Welcome to PR Builders! Lancaster, York and Central PA's trusted builder and contractor for over 35 years. Pusey & Raffensperger combines high quality Lancaster County craftsmanship with unsurpassed value.